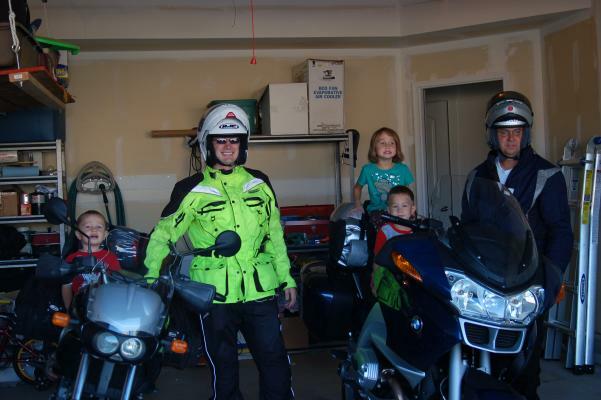 Here's us all loaded up just before we left on Tuesday morning. 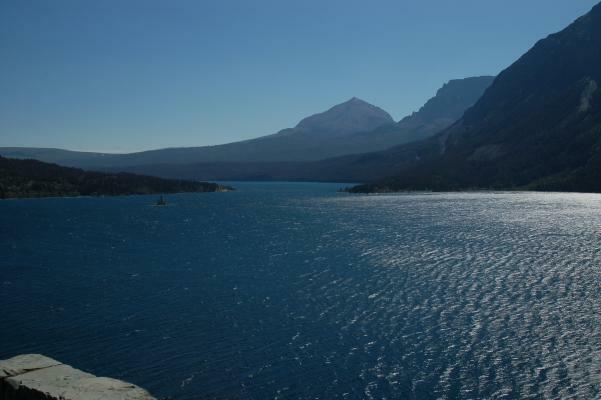 We then road to Rexburg via Bear Lake and Palisade Reservoir. There's more photos in the album. 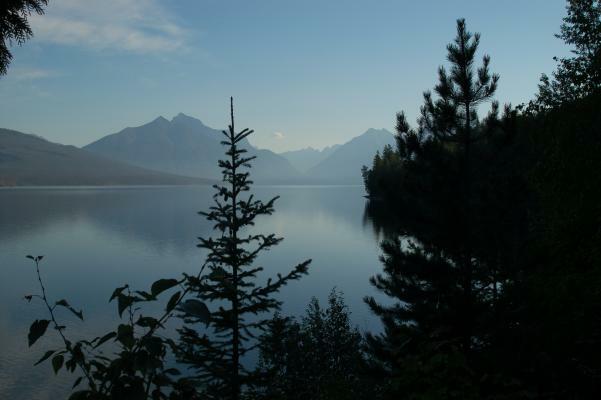 Wednesday we road up into Montana and past Flathead Lake, over 40 miles long of gorgeous hills and water. This was one of the first views of Glacier National Park on the morning of the third day. A ways further into Glacier Park. The road basically cut straight up the side of the mountain on the left side. Quite the engineering feat. 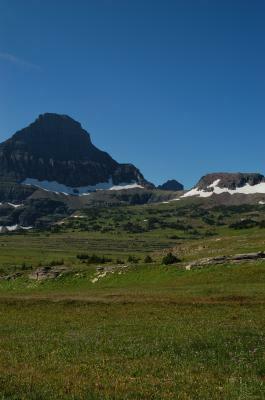 This is at Logan Pass, the highest point of our trip through Glacier. East side of Glacier Park. The east entrance to the park. 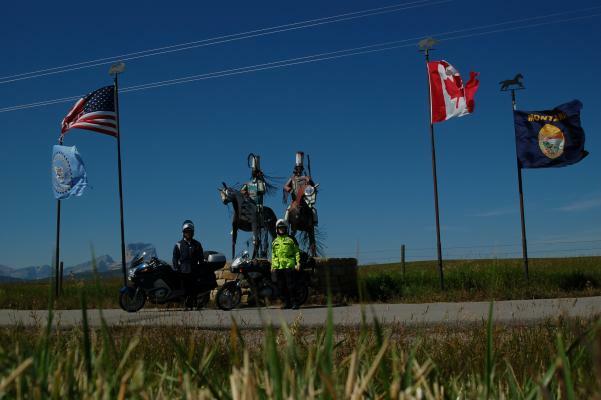 The last photo stop of the trip at the Canadian Border. After that we put the rubber to the road and made it back to Rexburg around 10pm, for starting at 8am that was a good long day of riding with some of the most scenic parts of the ride. Going back through Montana had some very pretty areas, some great curvy roads, and in places, sustained ~50 mph crosswinds. 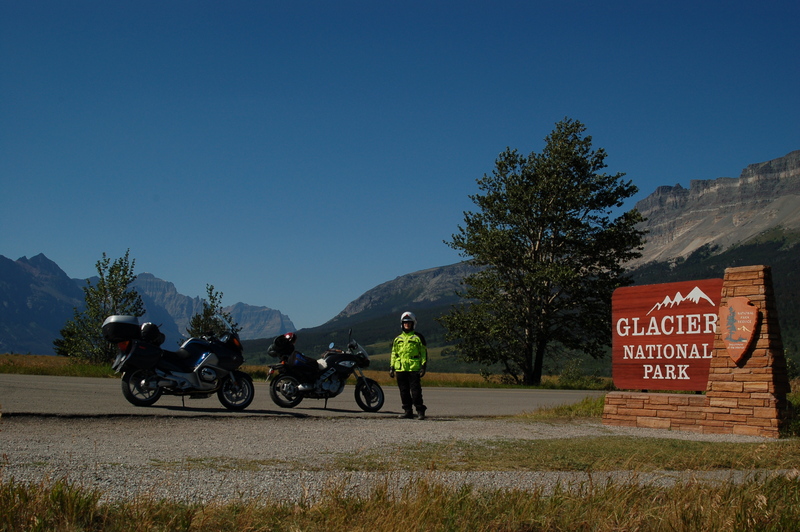 So I just got back last night from a 1731 mile motorcycle trip up to Glacier National Park and the Canadian border. It was a whirlwind trip to fit into 4 days but somehow we pulled it off and it was great. 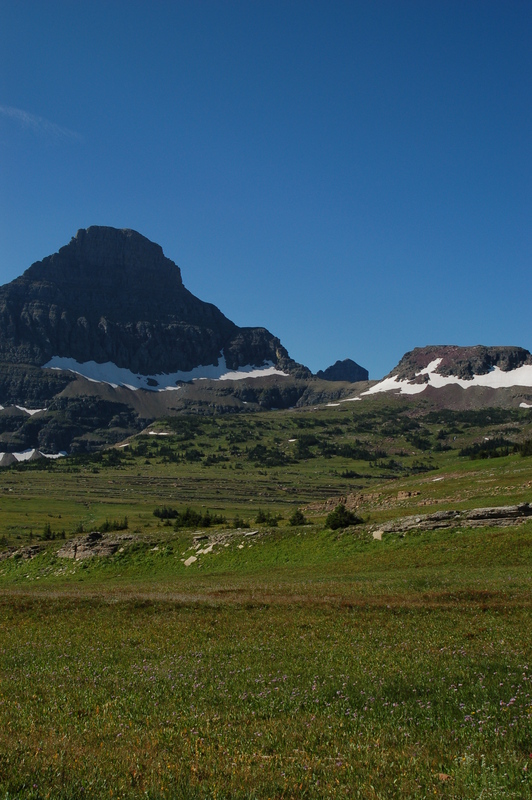 Glacier park was very rugged, majestic, and beautiful. We also happened to show up on the 100th anniversary of it being made a park. 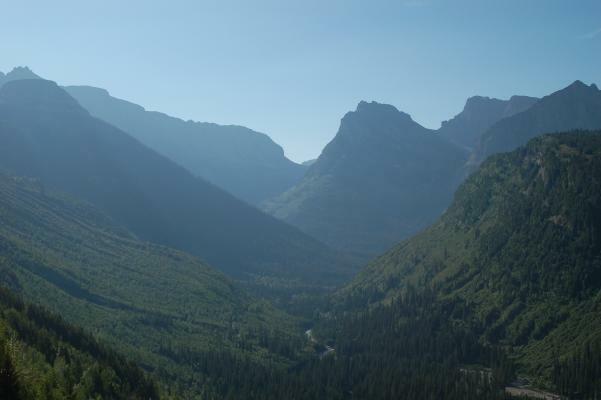 I think the engineering feat of building a road into the side of the mountain to allow people access to the park is also quite an amazing thing to see. I'm just trying to figure out who in their right mind would think of building a road like that. Whoever it was, thank you for making the beauty more accessible. We were also able to see Crystal and Zach, and Jason and Alana for a short while which was fun. I wish I could get up to see them a little more. On a different note, Shauna started her new job today. She's getting trained and all that fun today. So far I haven't burned the house down and no one has been injured with Mom away. Let's hope it stays that way.